Hoshigaki Kisame with his great sword "Samehada" become one of Akatsuki member. His sword be able to absorbed chakra from his opponent. Kisame wallpaper of akatsuki is one of my favourite wallpaper. 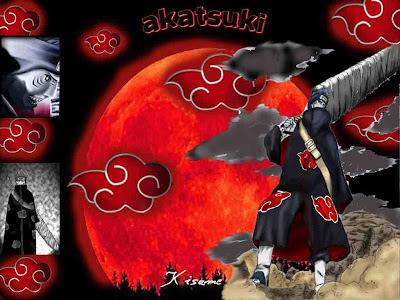 Get this Kisame Akatsuki Profile Wallpaper by clicking on image.